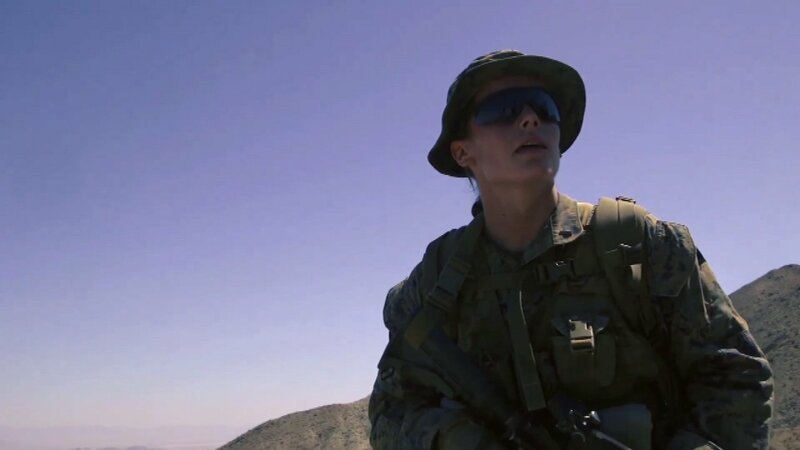 QUANTICO, Va. (WLS) -- A woman made history Monday in Quantico, Va. She became the first female U.S. Marine Corps officer to complete the demanding 13-week Infantry Officer Course. The course is a prerequisite for ground intelligence officers and considered one of the hardest. About 25 percent of students who attempt it don't pass. The lieutenant, who asked to keep her identity private, graduated Monday with her peers. The Marine Corps said 131 Marines started the course in July. Only 88 made it through. "I am proud of this officer and those in her class who have earned the infantry officer MOS," Marine Corps Commandant Gen. Robert Neller said in a statement Monday. "Marines expect and rightfully deserve competent and capable leaders, and these IOC graduates met every training requirement as they prepare for the next challenge of leading infantry Marines; ultimately, in combat." Her follow-on assignment is to 1st Marine Division, Camp Pendleton, Calif., the statement said. Former Secretary of Defense Ash Carter opened all military occupations to women in April 2016. The decision was met with some criticism at the time. Current White House chief of staff John Kelly, who was then a Marine Corps general, voiced concern about the action, saying the key question was whether it makes the armed forces more lethal. Since then, four female Marine officers have unsuccessfully attempted to go through the infantry course.